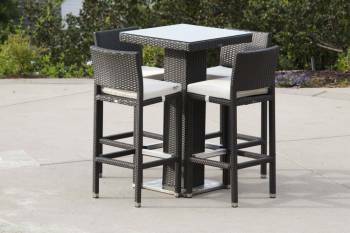 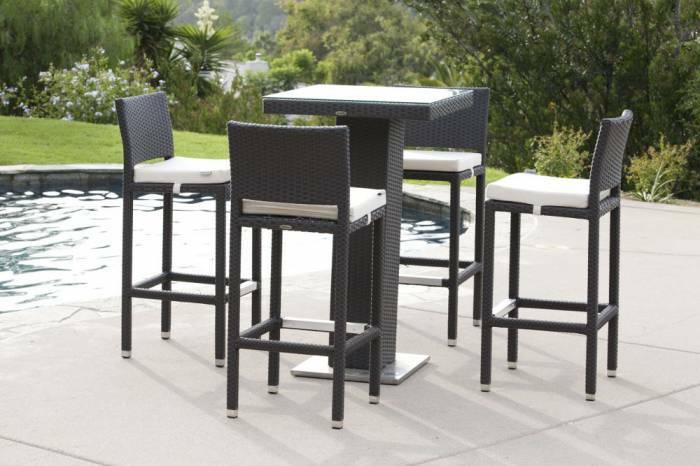 The Florio Bar Set without Arms includes one Crow Bar Table four Armless Vertigo Bar Stools. 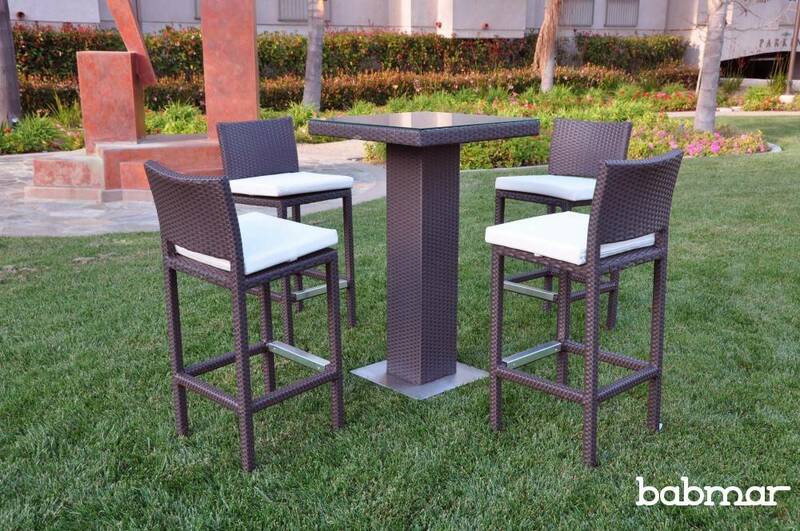 Comprised of our all weather, hand woven Babmar Fiber®, the Florio Bar Set without Arms is able to withstand the harshest of elements to last from season to season. 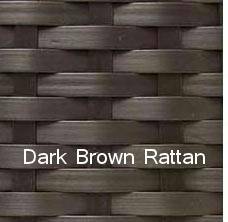 Available in dark brown all weather wicker with off white or dark brown cushion covers. 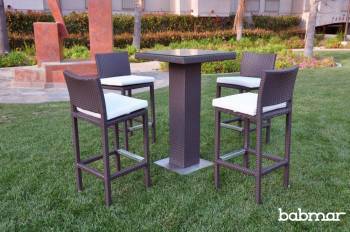 This bar table is detailed with a brushed aluminum base and tempered glass. This bar stool is detailed with aluminum footings, 2" cushion with straps, and back support. 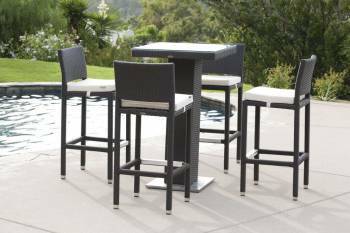 Extremely smooth, tempered glass top for safety.